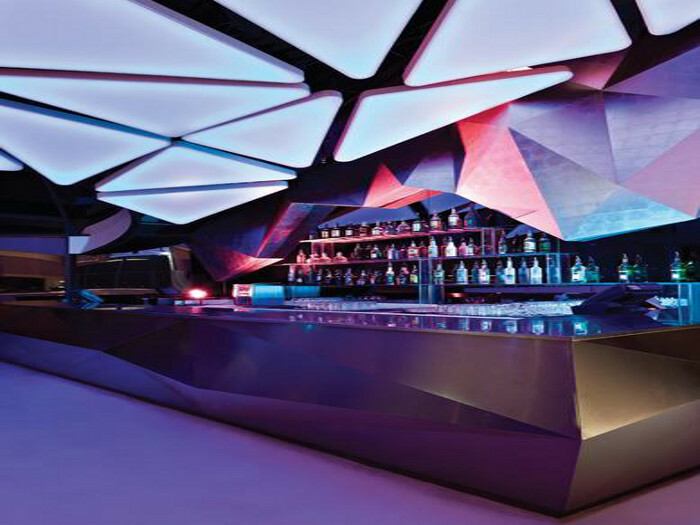 Walls feature pink gold leaf and bronze cladding. Since development began in 2007, Abu Dhabi’s Yas Island has been busy establishing itself as one of the city’s top luxury destinations, and its F1 racetrack, which hosted the Grand Prix in 2009, has since been joined by an abundance of luxury bars, restaurants and nightclubs. 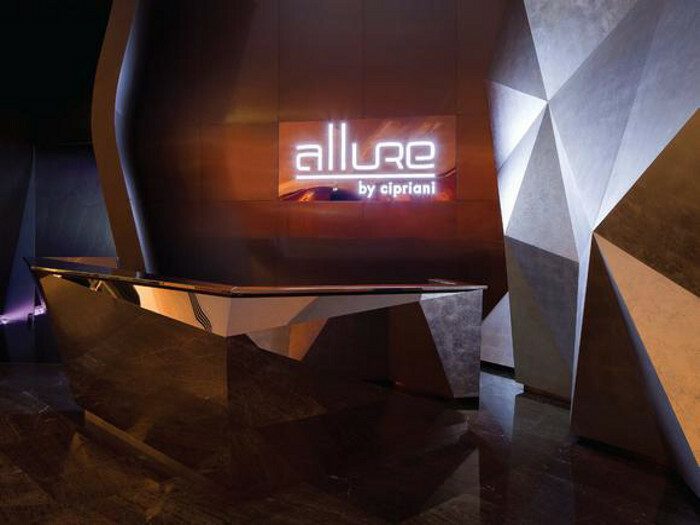 The latest is Allure, the first nightclub from restaurant company Cipriani Group (of the famous Harry’s Bar in Venice), and a venue whose luxurious interior by Bangkok-based Orbit Design Studio aims at tempting Abu Dhabi’s party crowd away from its more established nightspots. Creating what Drogemuller calls ‘another level of glamour’, walls have a fractal diamond pattern finished with pink gold leaf and distinctive bronze cladding. 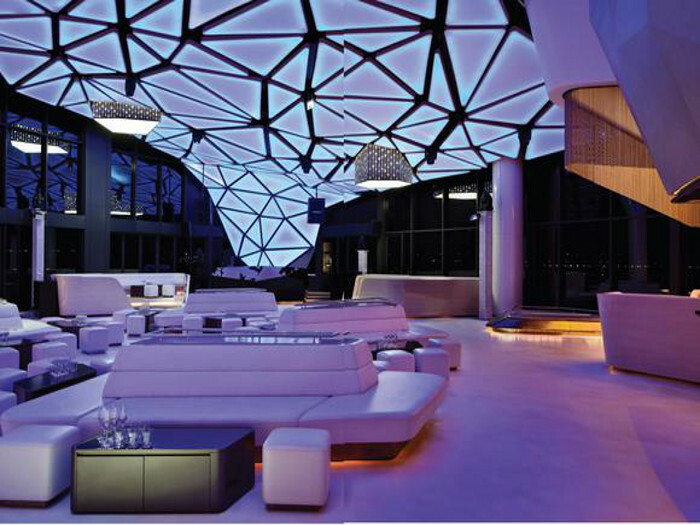 As well as being unforgettable, the interior was required to reflect the club’s island location and its views of the luxury yachts moored at the nearby Yas Marina. So units of bench seating, placed around the main floor and upholstered in white leather, are designed to resemble the living area of a luxury yacht. For the VIP seating areas, the challenge was to create the sort of intimate feel experienced with a private room, but without actually obscuring – or excluding – the people sitting there. The answer was to build special structures, something like giant lampshades, suspended above each booth, effectively giving each one its own ceiling while leaving it open at the sides. 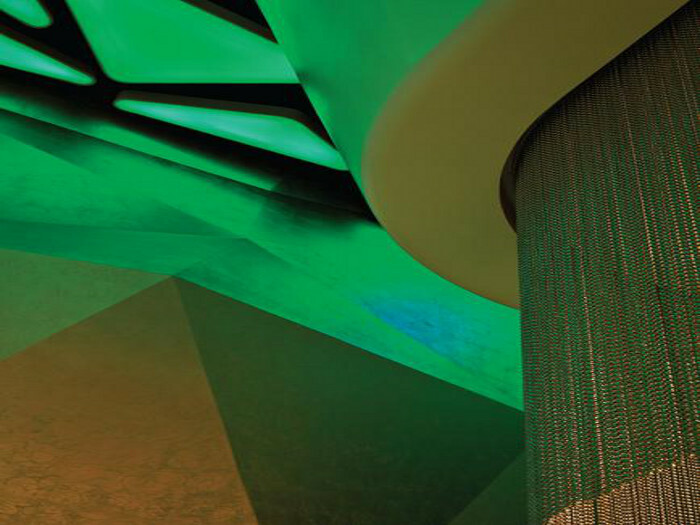 Made of steel frames clad in white MDF, each structure contains adjustable lighting and speakers and is fringed with a glittering metal beaded curtain. 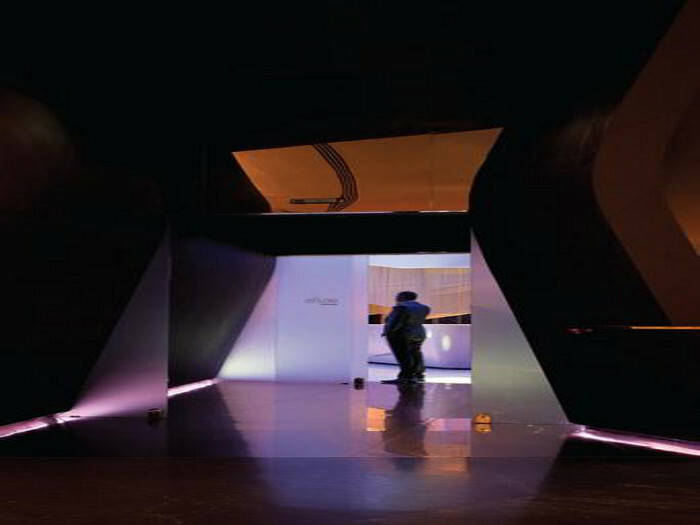 All of the furniture is bespoke and includes a reception desk made of triangular planes of MDF clad with mirrored stainless steel. According to Drogemuller the real success of the scheme is in the way it represents the understated luxury associated with the Cipriani Group brand, while also creating a bold statement befitting of the nightclub’s location. 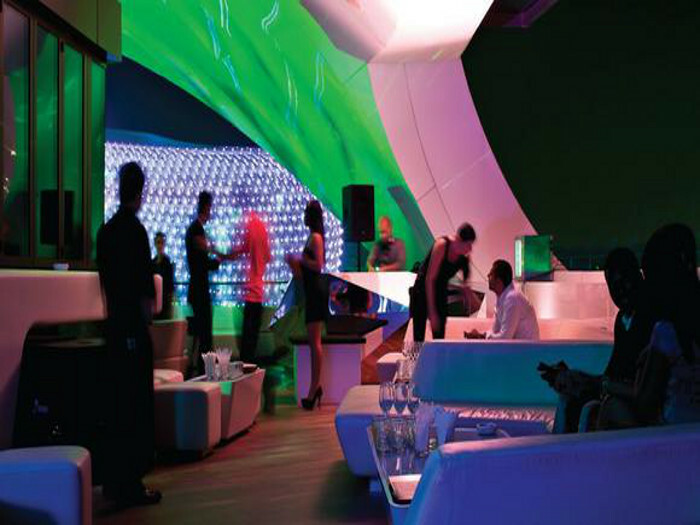 ‘Translating brands for new international markets is what we do best,’ he says, ‘and interpreting the Cipriani feel for an Abu Dhabi after-dark crowd was tremendous fun.